Based on the latest numbers from the Urban Redevelopment Authority (URA), it reflects that property developers have sold a total of 381 private residential units (not including executive condo (EC) units) in January 2017 alone. This is a 3.8% month-to-month increase from the numbers in December 2016 (367 units sold) and 17.6% higher than the sales figures year-on-year in January 2016. The start of 2017 does seem to look more positive – in terms of market outlook and sentiment, as compared to the beginning of 2016 which was when sentiments plunged due to the volatile stock market. There was in fact a lacklustre of new launch projects in January 2017 as there was just 1 launch – the 78-unit project called 12 on Shan, which none were sold out of the 30 units released for sale. Things are likely to take a turn as property developers have several new launch projects lined up to ride on the current improved market sentiment. First in line will The Clement Canopy (at Clementi Avenue 1) by UOL & SingLand, where booking of units will commence from 25 February 2017 onwards. This will be followed by the launch of Grandeur Park Residences (situated next to Tanah Merah MRT Station). During the March and April period, the market will likely be witnessing the release of Park Place Residences at Paya Lebar Quarter (situated next to Paya Lebar MRT Station) by LendLease and ADIA, and also Seaside Residences (at Siglap) spearheaded by Frasers Centrepoint. 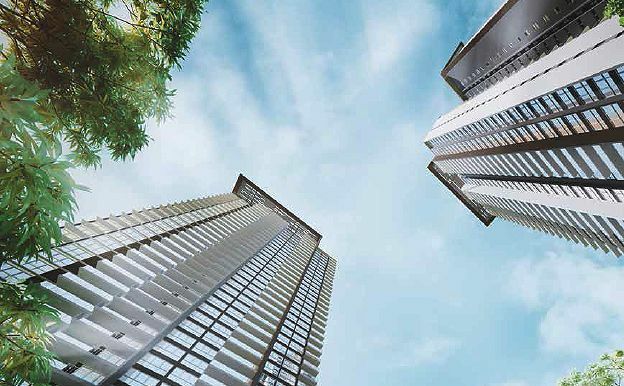 In the EC market, Qingjian Realty (who are also developers for the recent The Visionaire at Canberra) have scheduled the launch of iNZ Residence (at Choa Chu Kang) to take place in March. Despite the relatively huge number of launches over the next 2 months, property consultants have suggested that the property market will be offering more options across the island, over a wider and larger geographical spread, which will provide good support for the current depth of buying demand. Analysts mentioned that sales could me more active for real estate developers in the 1st quarter this year as compared to the same period last year in 2016. They have added that around 7,000 to 9,800 units in the private residential market will likely be sold – which will be more than the 7,952 private homes sold by developers in 2016. It was noted that the global economy uncertainties may also cool off the demand for housing and property prices. Thus property developers will be watchful of how prospects react to property prices in Singapore in terms of the overall price quantum. Figures in January 2017 have shown that Parc Riviera (launched last November) have topped the sales chart for the private residential segment, with 38 units sold (at an average of $1,270 psf), following by The Santorini (sold 30 units at an average of $1,066 psf) and The Trilinq (25 units at average of $1,339 psf).